Reflexology is an ideal therapy that can help with a number of conditions including stress, headaches, migraines, anxiety and pain. It is a relaxing therapy and brings about a general sense of well-being. It eliminates toxins and restores natural balance therefore promoting good health and assisting the to repair itself. As a complimentary holistic therapy reflexology works on the theory that by applying pressure to reflex points on the feet corresponding parts of the body will feel the benefits. The principle behind reflexology is that the feet mirror different areas of the body so that different systems and parts of the body can be treated. It is a relaxing therapy and although one treatment session will help, big improvements will be made with regular treatments. It is estimated that 75% of all diseases are stress related and as reflexology is a deeply relaxing therapy it can help restore the natural balance of the body. I am also qualified in the specialisation of Preconception, Pregnancy and Post Natal Care, this has a special place in my heart and I understand the stresses that you may be under at this particular time, Reflexology although does not claim to “cure” infertility or guarantee results there are many examples where Reflexology has helped to conceive and maintain a healthy pregnancy as well as assisting with a natural Labour during towards the end of your pregnancy. My name is Chantal Lester MAR and I am a fully insured member of the Association of Reflexologists, qualifying with a level 3 Diploma from the London School of Reflexology. 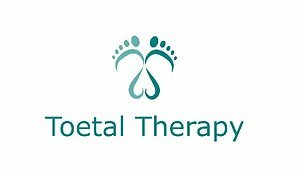 As a Reflexologist I currently provide a mobile service in and around the Bexley, Kent area and can travel to a five mile radius from here. I aim to provide a friendly, caring professional service in the comfort of your own home. Book a Foot Reflexology Treatment and receive a 10 minute taster of Facial Reflexology perfect for full relaxation. One taster treatment only per client.